Chinese smartphone maker Oppo has teased its upcoming R15 smartphone couple of times in an image and a video that confirmed the design of the phone. 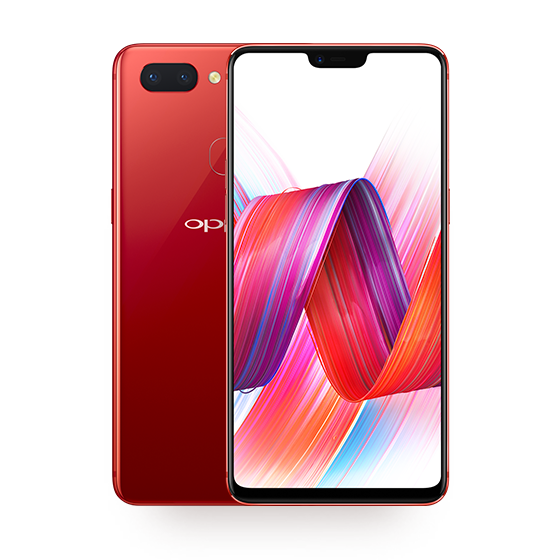 Now, the company has listed the Oppo R15 on its official website in China in Red, Blue, White and Mirror Red colors which confirms the features of the upcoming Oppo phone. Earlier last week Oppo teased the phone with a full-screen notch display and released a teaser video of the device. The Oppo R15 was rumoured to come with an iPhone X-like notch, and dual rear cameras. Now, it is confirmed that it will have a 6.28-inch 19: 9 full-screen display with 90% screen-to-body ratio and the notch. More details such ColorOS 5.0 based on Android 8.1 (Oreo), 6GB RAM and 128GB built-in storage are also revealed by official listing. Some of the key specifications of the phone have also been out when it was certified by TENAA. Now, some specs are confirmed by official listing. The Oppo R15 will come with a 6.28-inch (2280 × 1080 pixels) Full HD+ 19:9 AMOLED display. The R15 is powered by an octa-core Snapdragon 660 Mobile Platform with Adreno 512 GPU. It packs 6GB RAM, and 128GB internal memory which is expandable up to 256GB with microSD. The phone runs Android 8.1 (Oreo) with ColorOS 5.0 on top. In the camera department, the phone sports a 16MP primary rear camera with dual-tone LED Flash and a secondary 5MP camera. Up front, there is a 20MP front-facing camera. The phone sports a back mounted fingerprint sensor. Connectivity options on the phone include 4G VoLTE, WiFi 802.11 ac (2.4GHz + 5GHz), Bluetooth 5, GPS + GLONASS, USB Type-C. The phone comes with a 3365mAh battery with VOOC Flash Charging. Oppo has been teasing the latest smartphone with it features every now and then for a long time now. So, the Oppo R15 might go official anytime from now. There is no word on the pricing of the smartphone but it is expected to be a mid-ranger. Moreover, the company is also launching Oppo F7 in India on March 26.